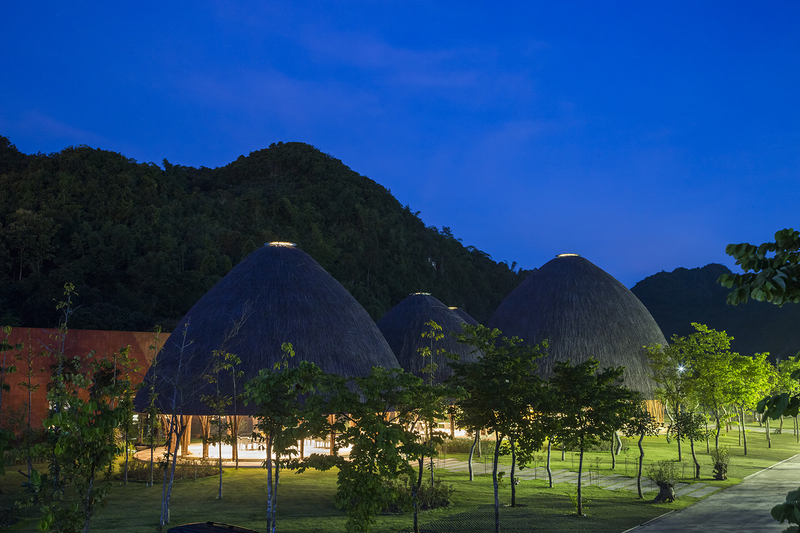 In Son La city, Vietnam, a project called the Son La Ceremonial Dome places rounded organic structures within a densely vegetated area outside the city center as part of a larger hospital complex also designed by VTN. 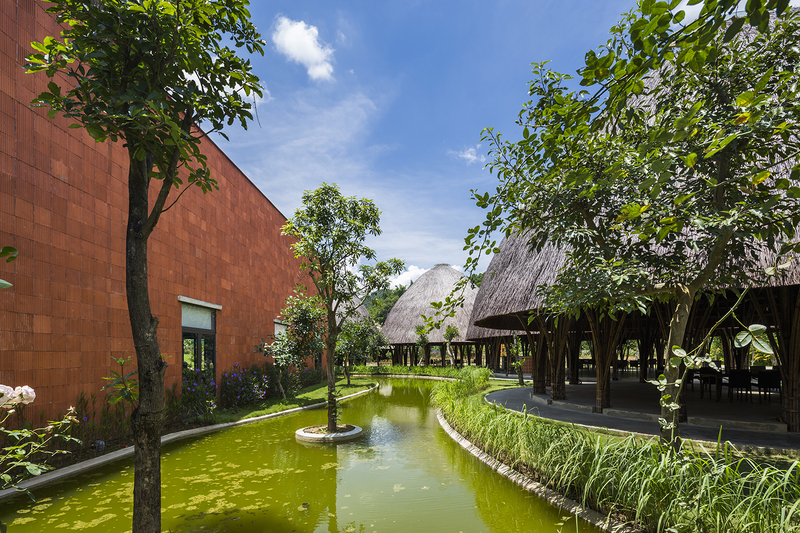 The complex includes a restaurant, the ceremonial hall itself completed in 2015 and new amenity spaces for events. 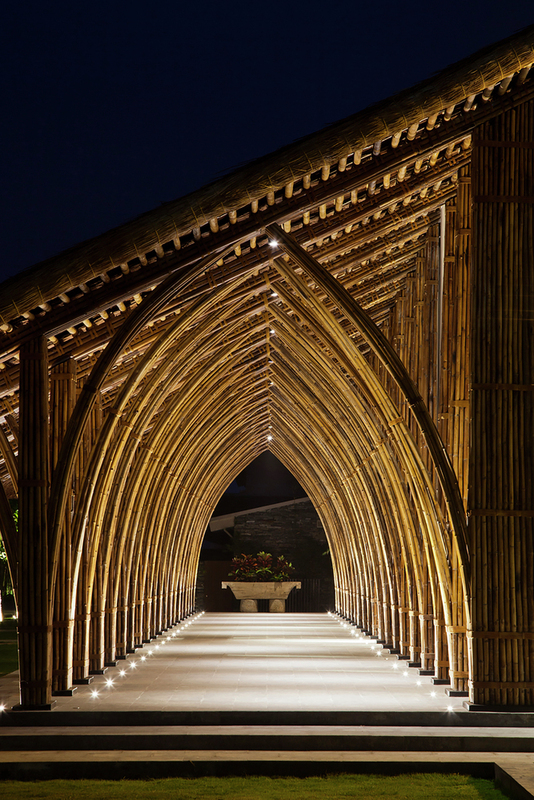 The architects took inspiration from both the shape of the surrounding mountains and traditional bamboo baskets. 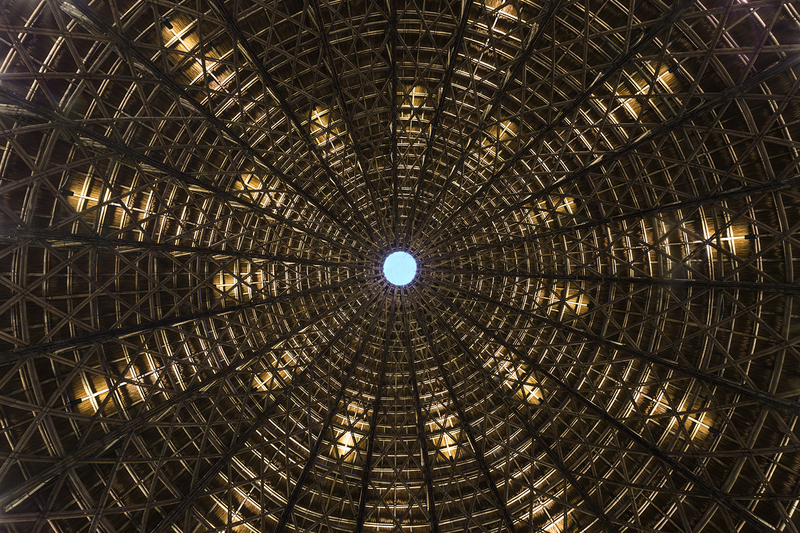 A skylight at the top of each dome lets daylight stream inside. 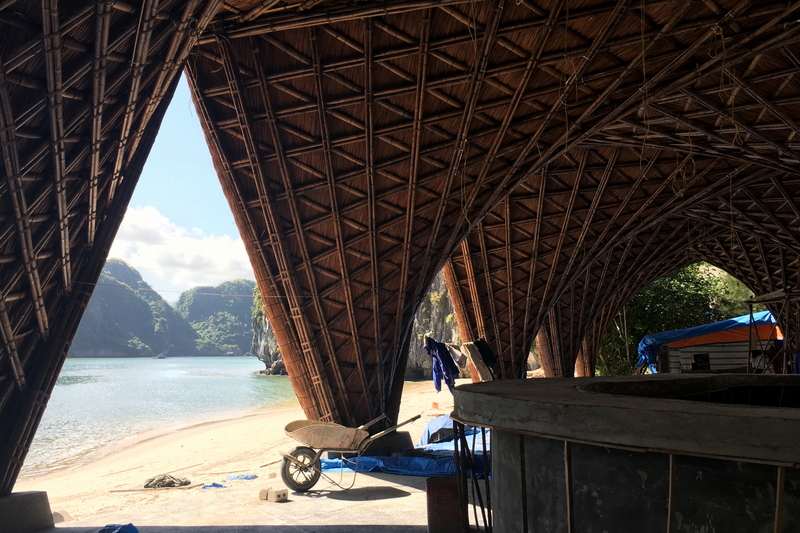 The Castaway Island Resort, a remote getaway on a private beach in the Ca Ba Archipelago of Vietnam, definitely lives up to the expectations set by its name. 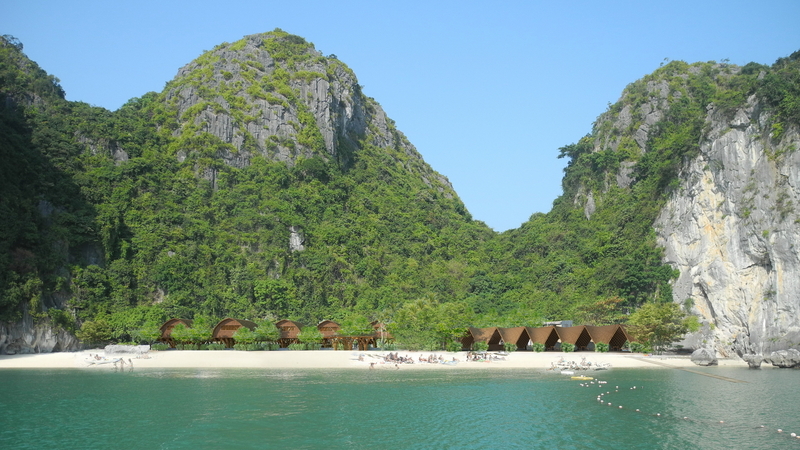 Located two hours from the nearest airport and accessible only by boat, the resort is designed for guests seeking experiences a bit off the beaten path. 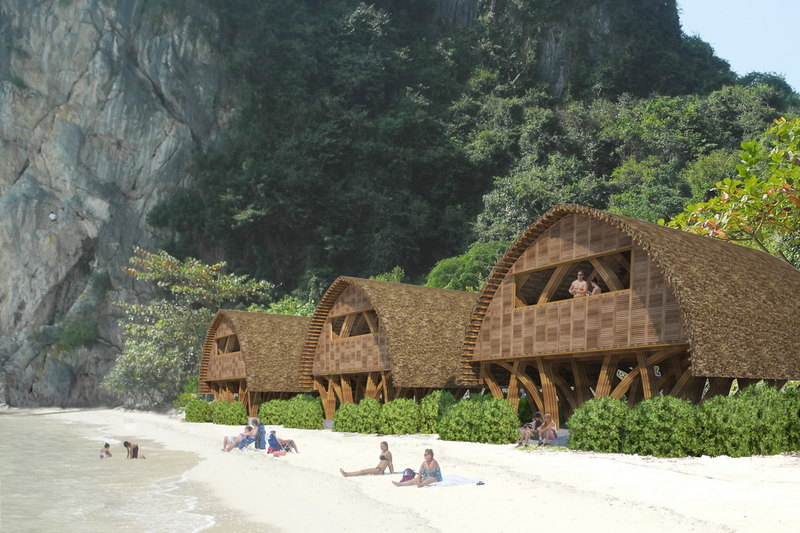 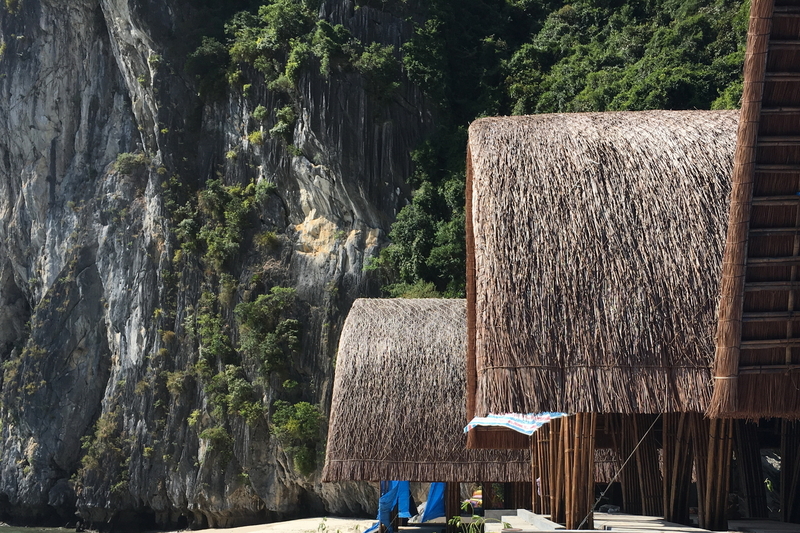 It includes five huts, a restaurant and a pavilion constructed with traditional Vietnamese bamboo lashing techniques. 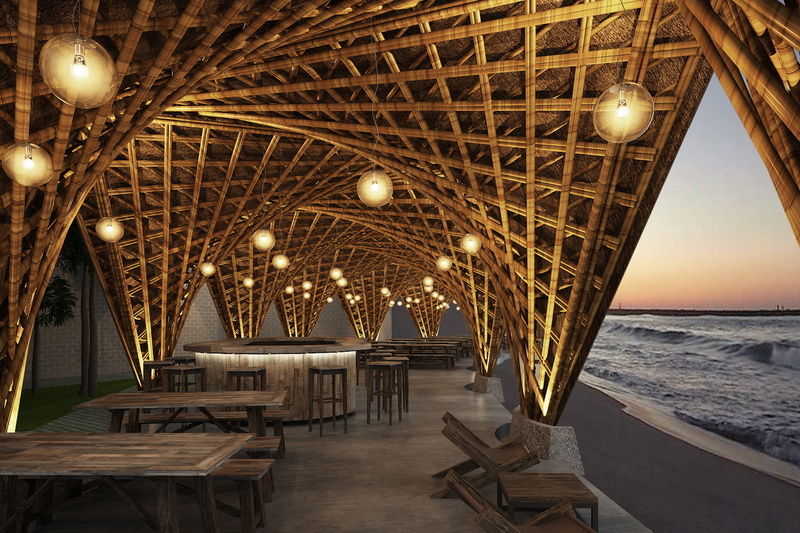 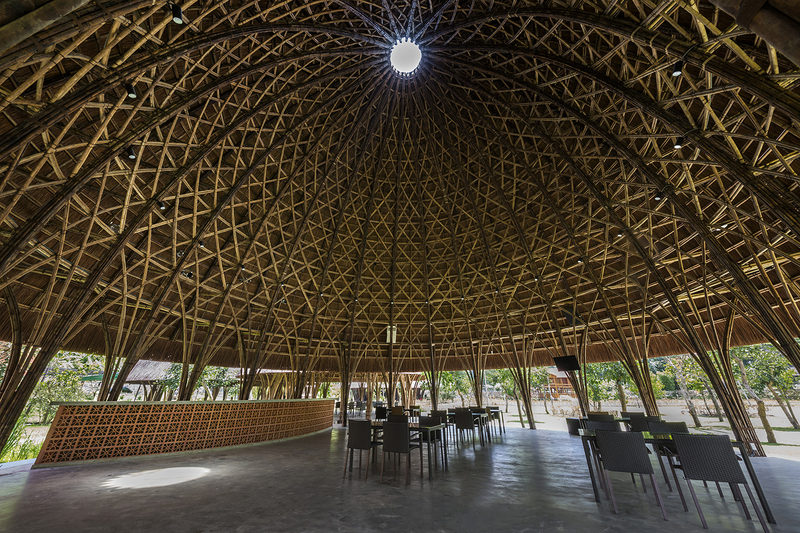 The restaurant boasts an undulating hyperbolic-paraboloid shell structure for the effect of a ‘wavy’ roof. 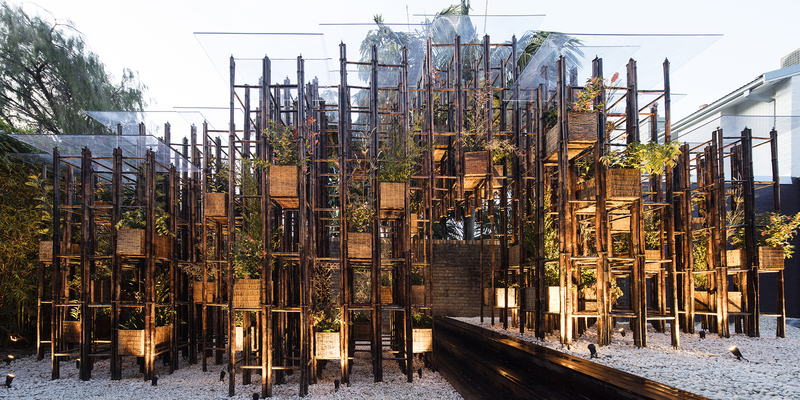 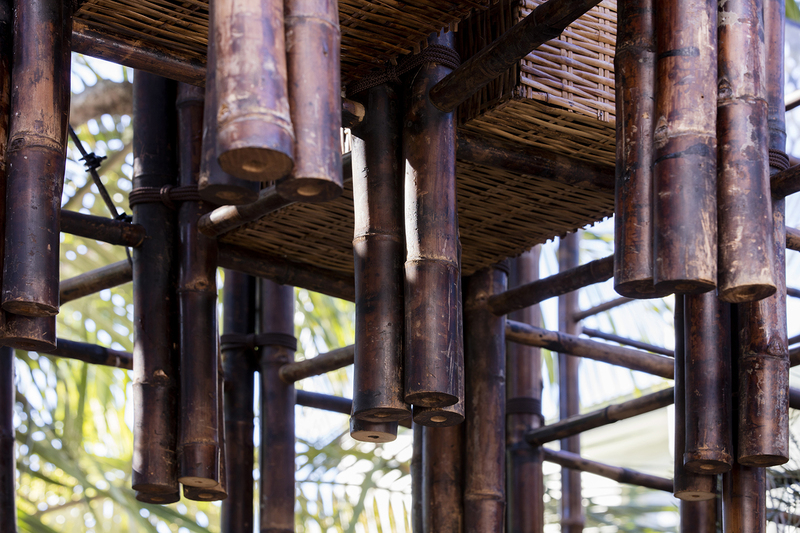 As its name suggests, ’Green Ladder’ consists of bamboo ladders assembled into a pavilion with a grid-like frame supporting planter pots, aiming to be a catalyst between humans and nature. 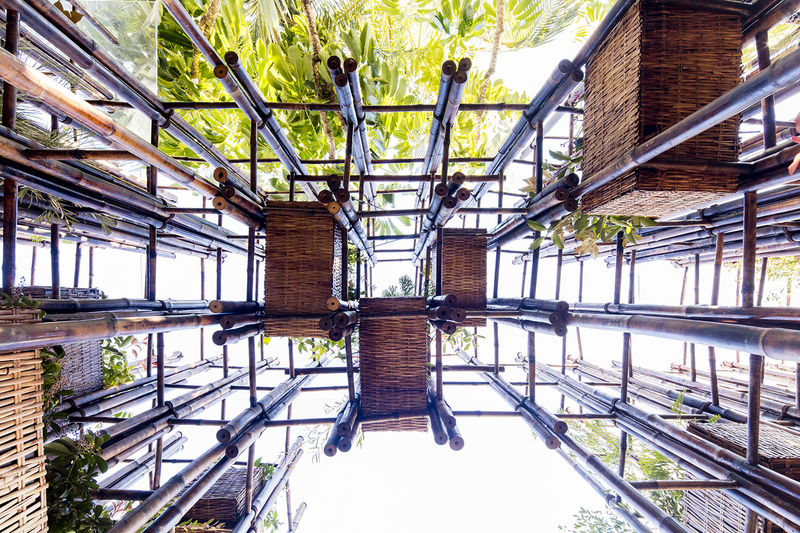 In Vietnam, green spaces have become scarce, the architects explain. 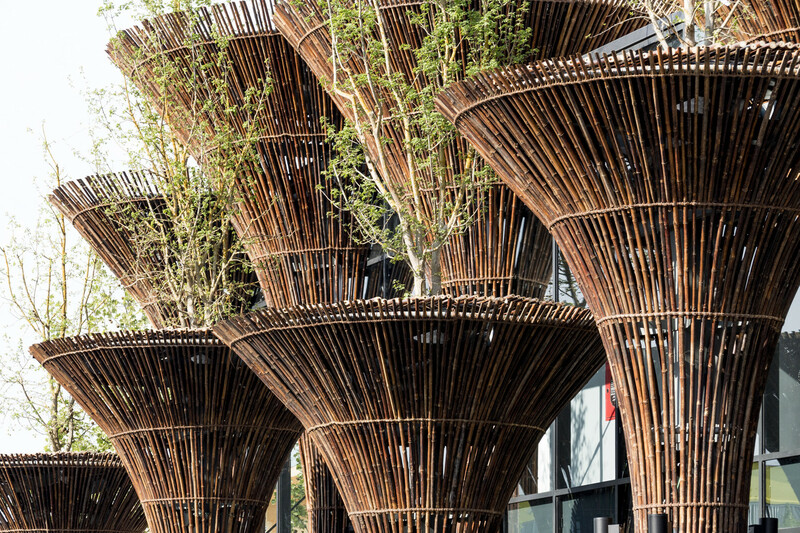 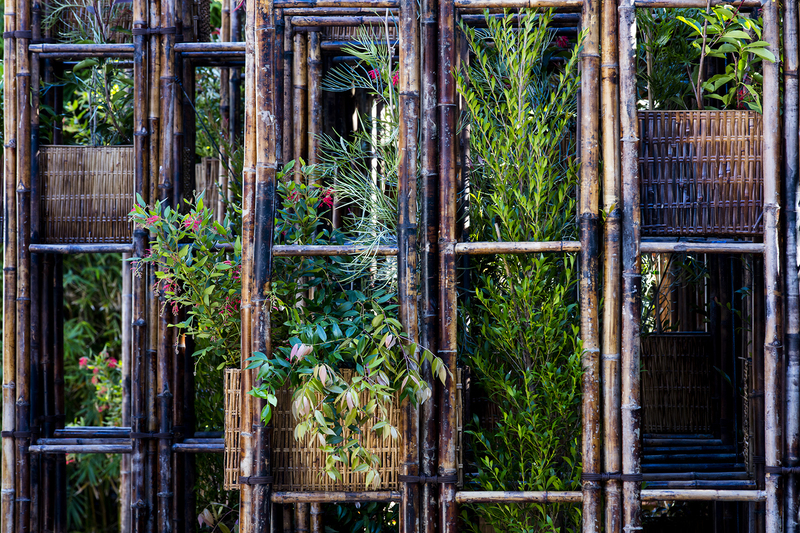 The use of both bamboo and living greenery help provide a connection people might not otherwise get to experience in the city. 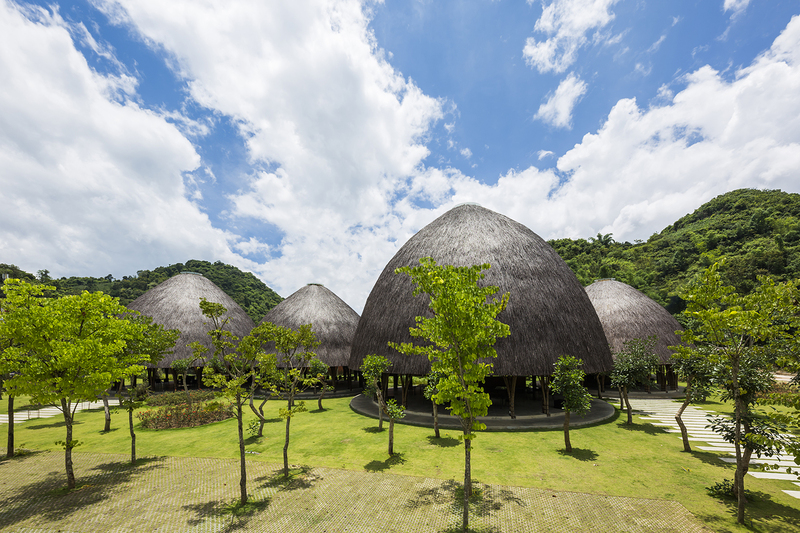 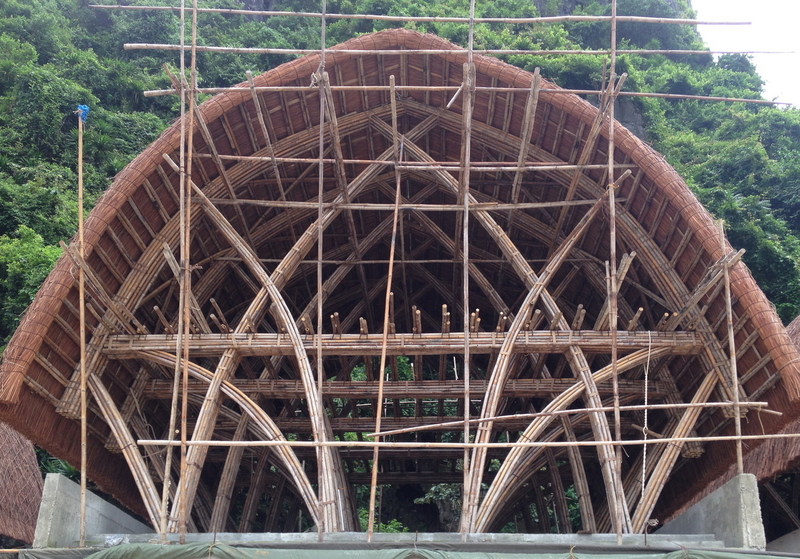 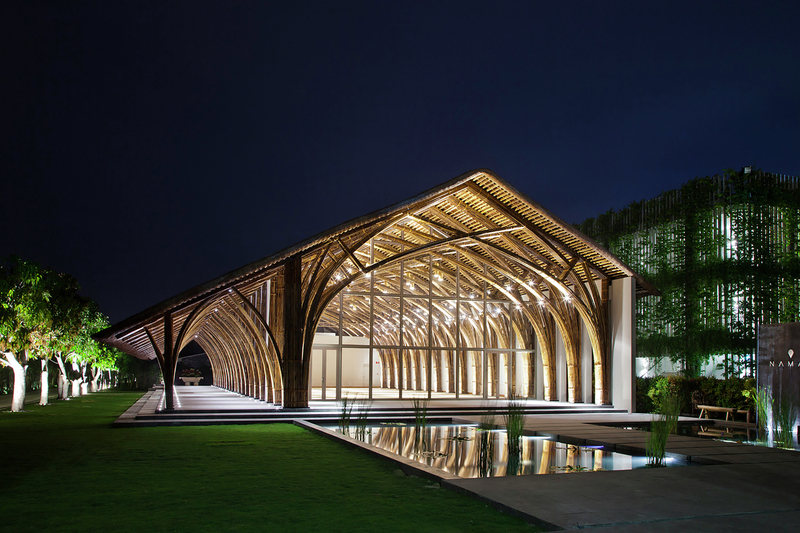 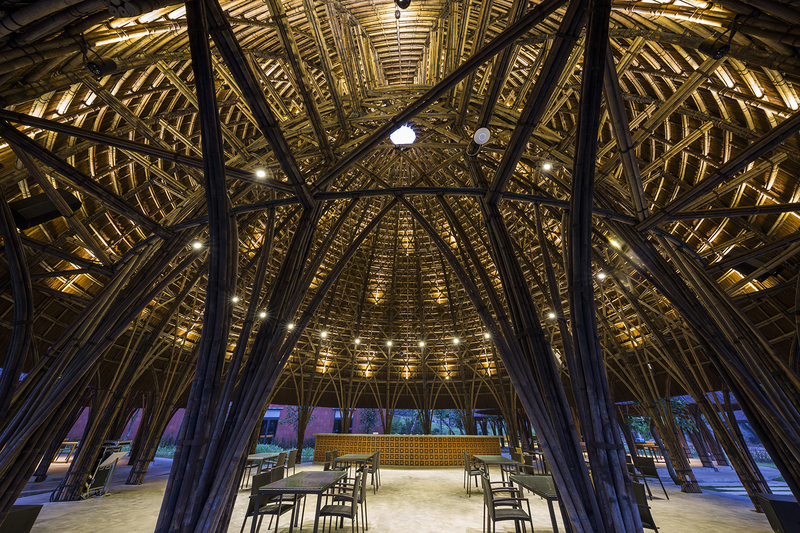 While many of these structures are almost purely made of bamboo with thatched roofs, some of VTN’s projects contrast this natural “green steel” with modern building materials. 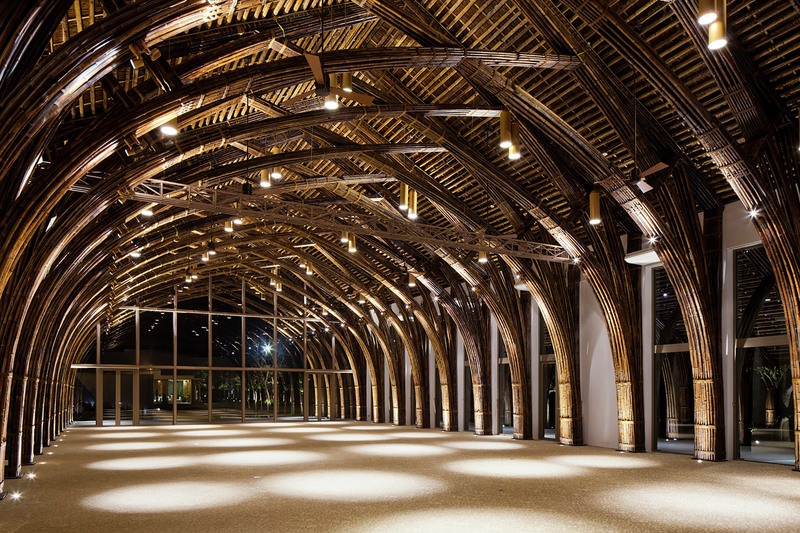 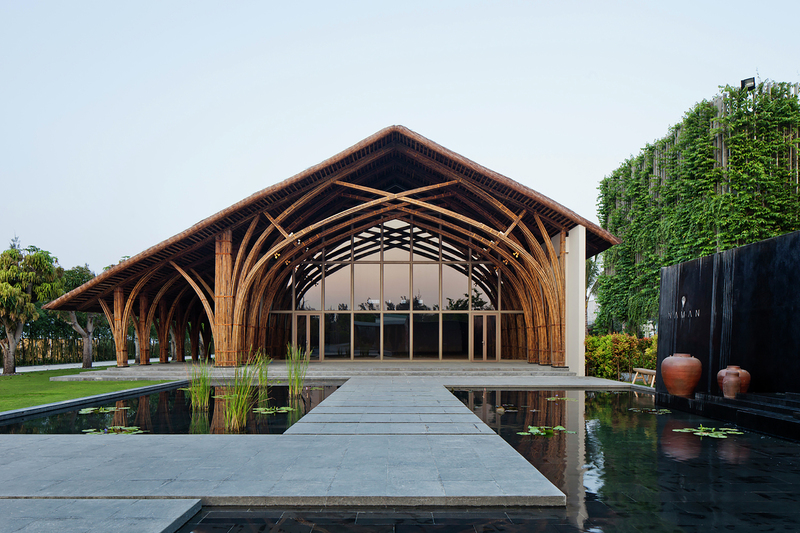 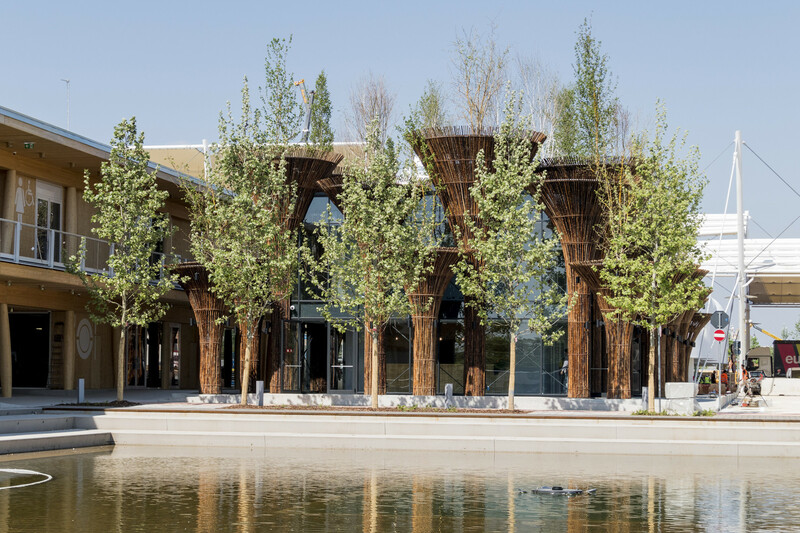 The Naman Retreat Conference Hall is a great example of what this can look like, combining two different types of bamboo with glass facades and stone. 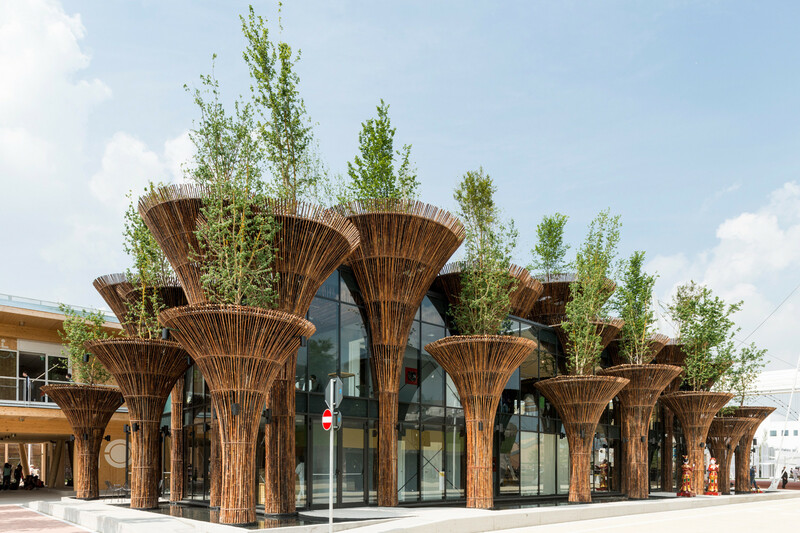 VTN Architects got a little playful with Vietnam’s pavilion at the Milan Expo 2015, using bamboo elements in an unexpected way. 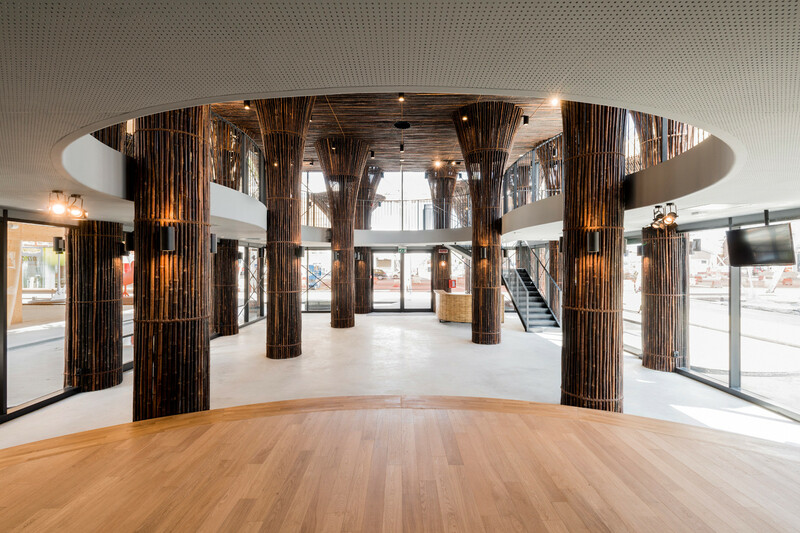 Organic columns rise like tree trunks around a more conventional building. 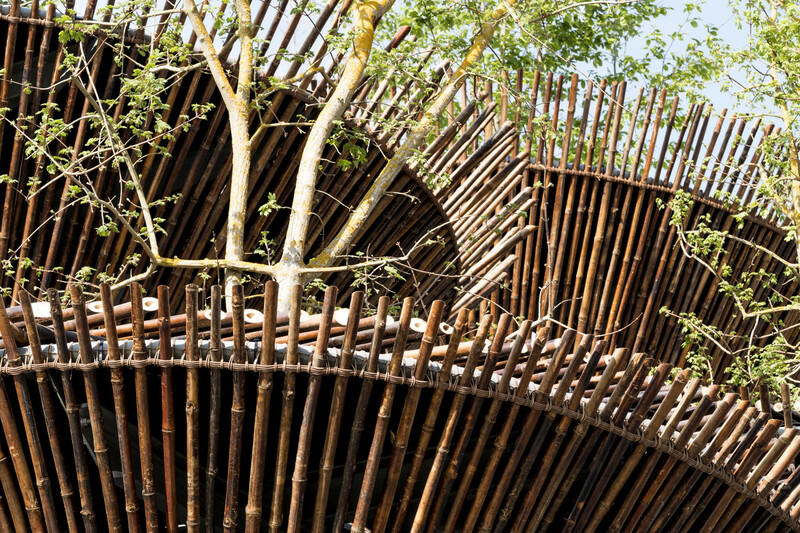 The aim is to find new ways to infuse built environments with vitality, never letting go of a connection to nature in what they see as a modern reality that threatens the essential human spirit.